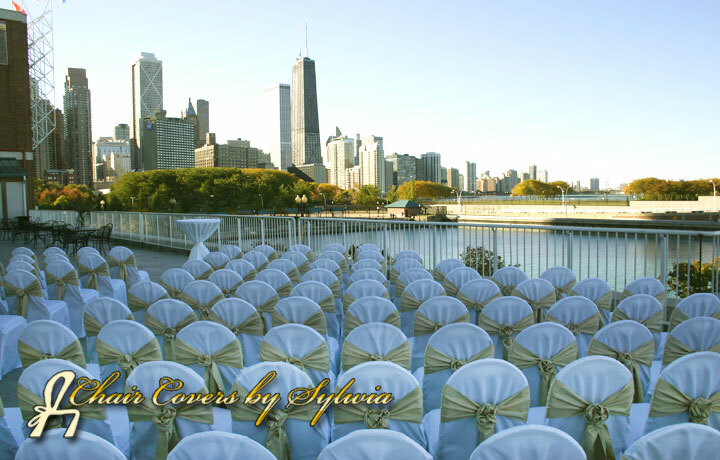 Shown are only a handful of the events we have done in Chicago and the Chicago suburbs. 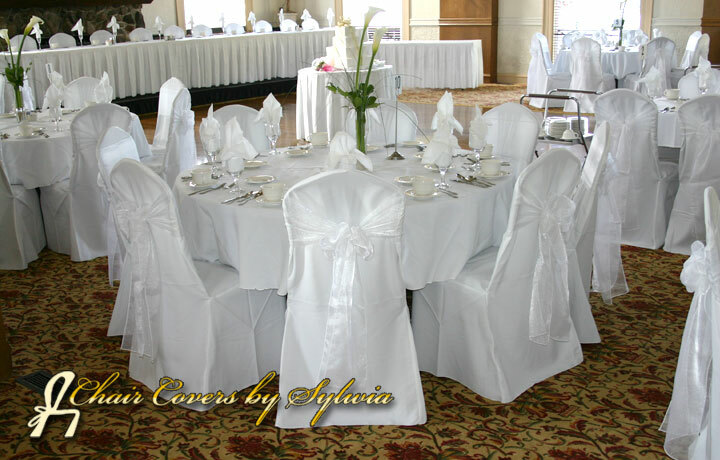 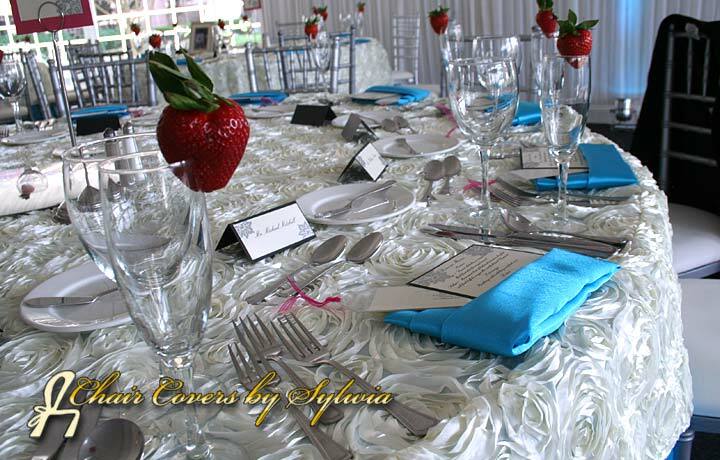 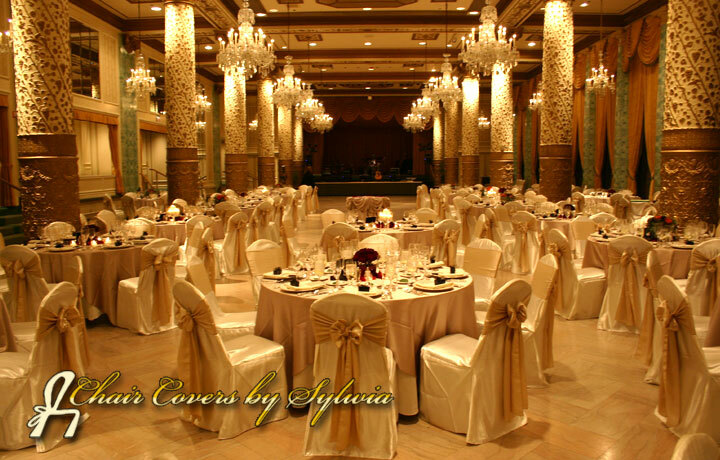 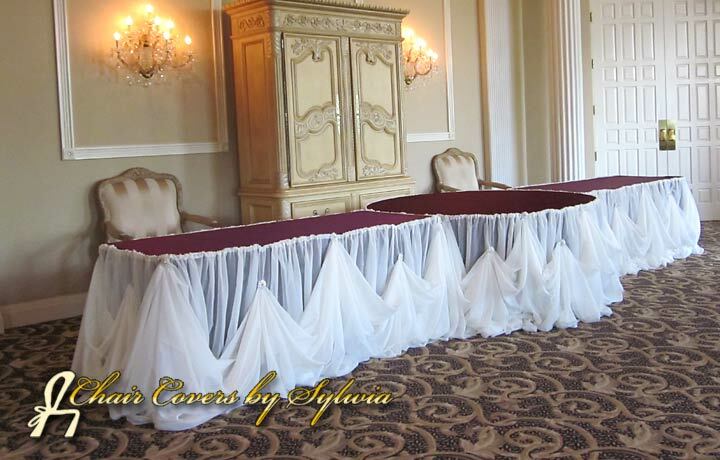 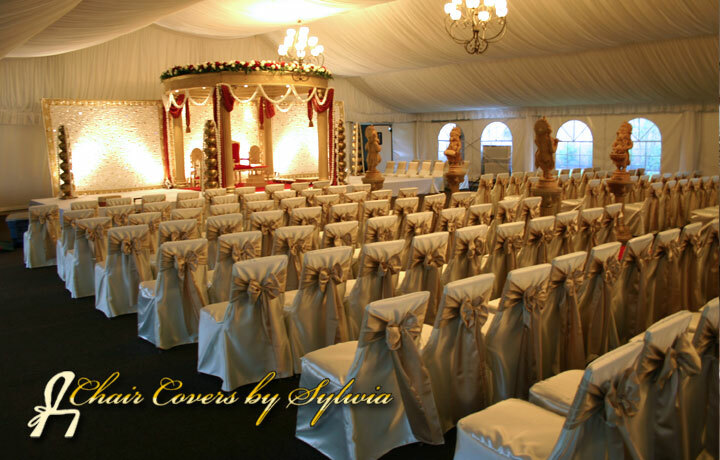 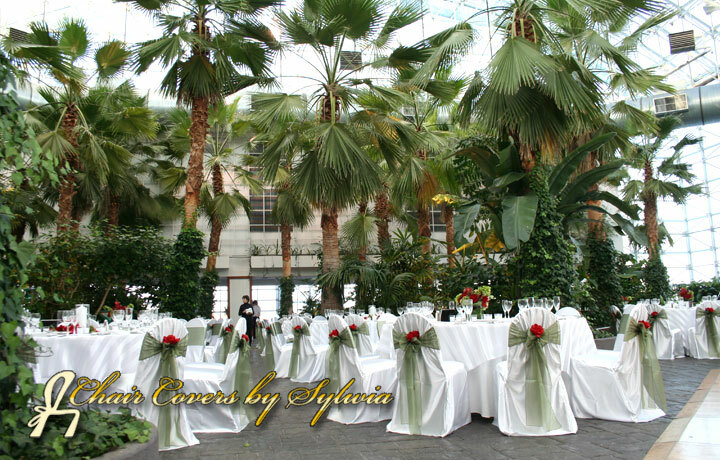 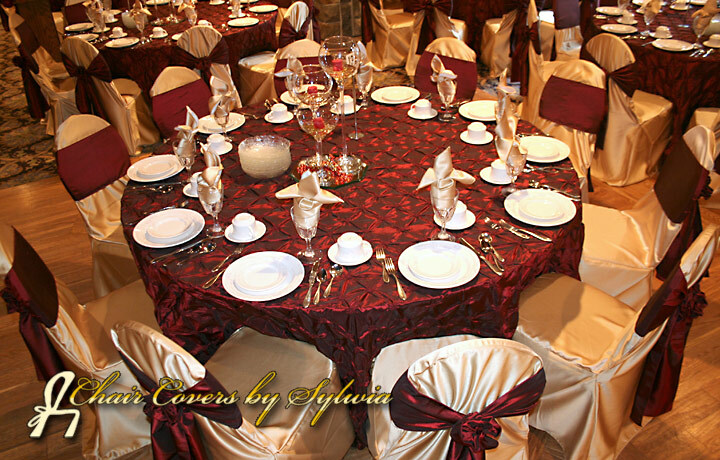 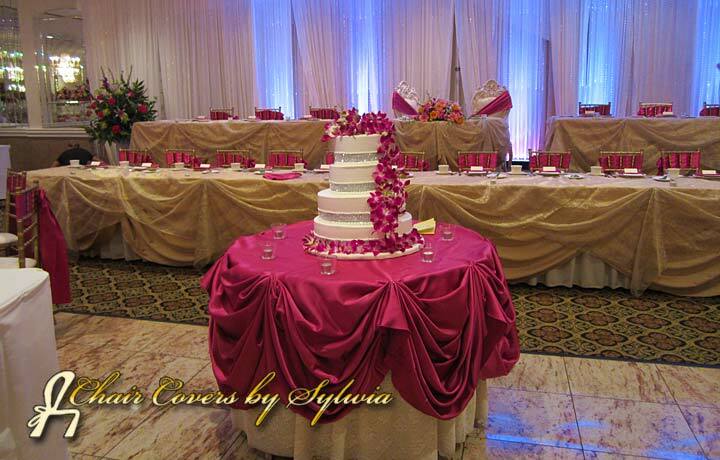 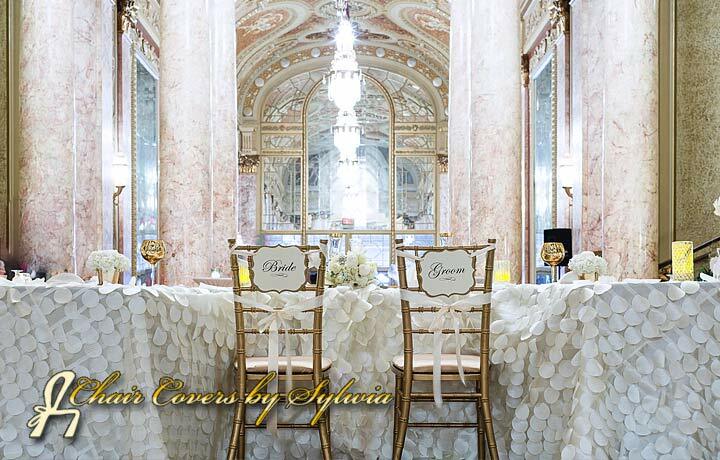 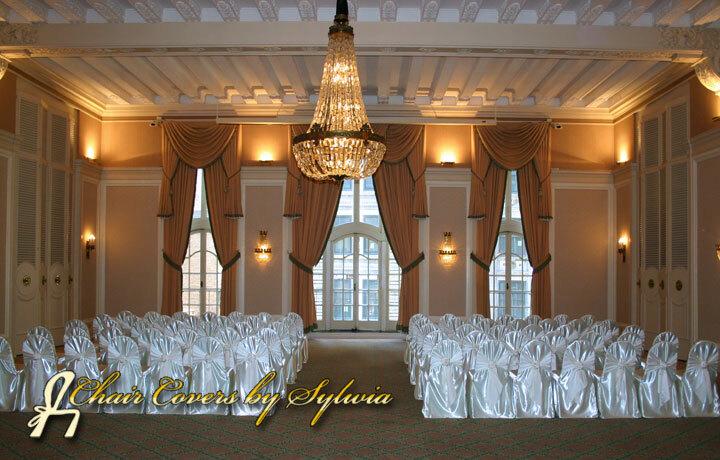 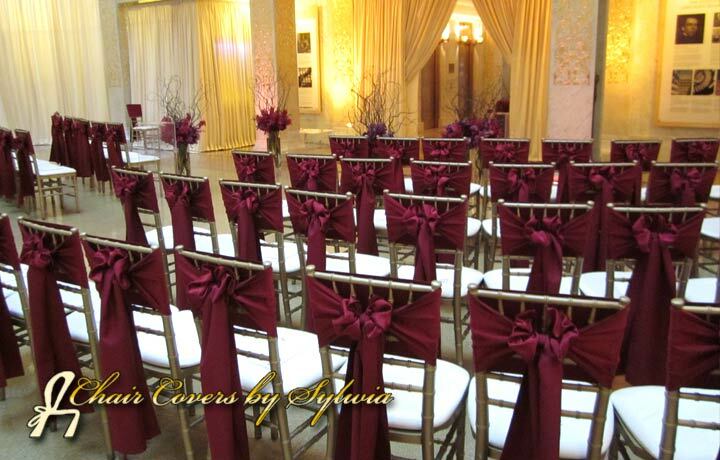 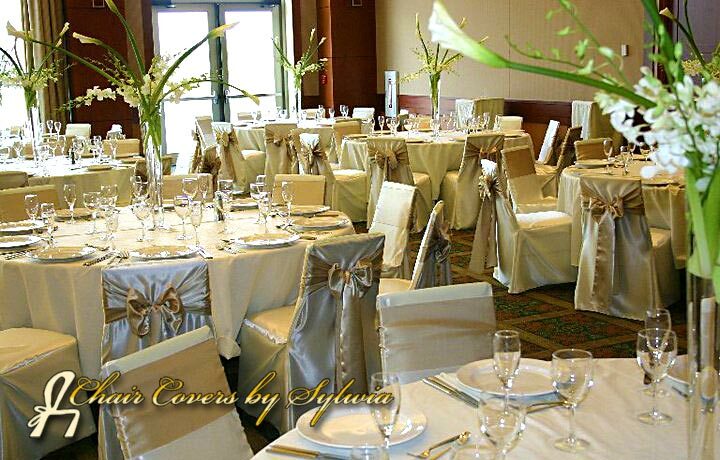 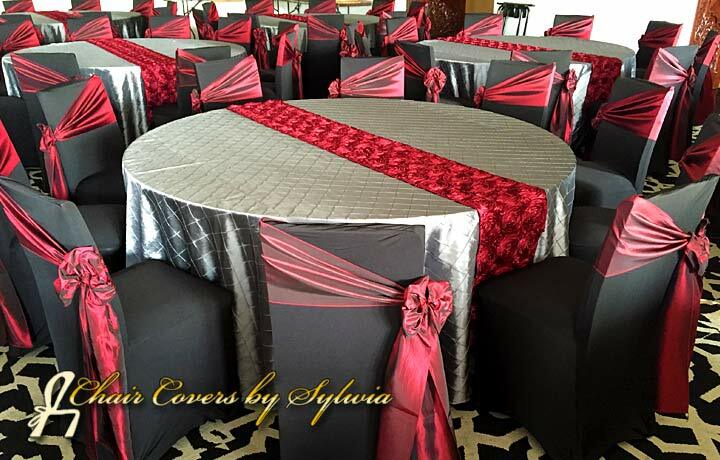 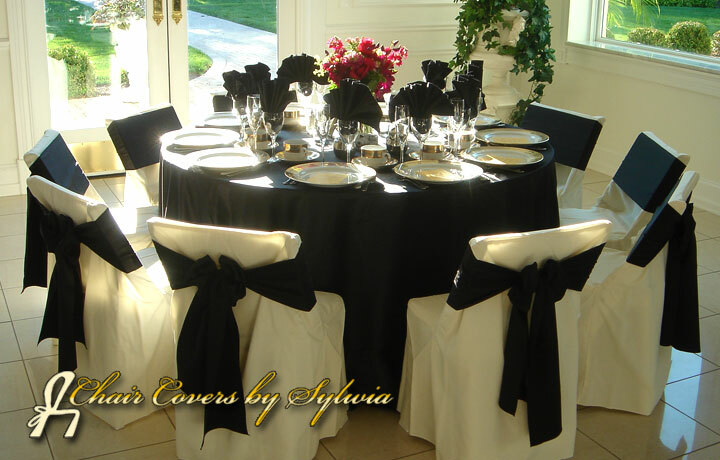 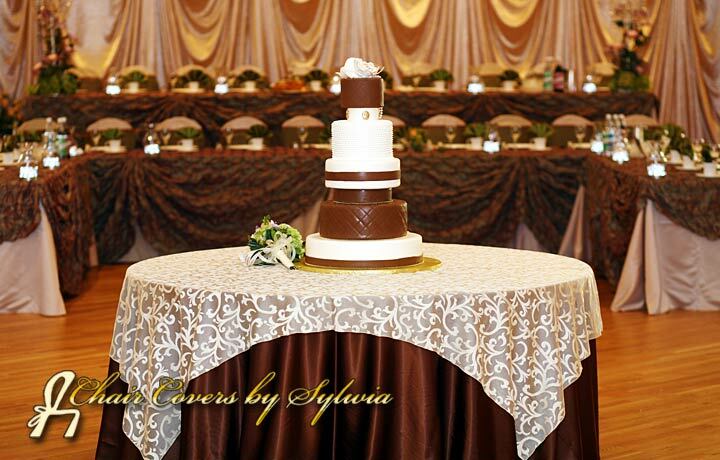 If you're having a special occasion, and want the finest, Chair Covers by Sylwia has it. 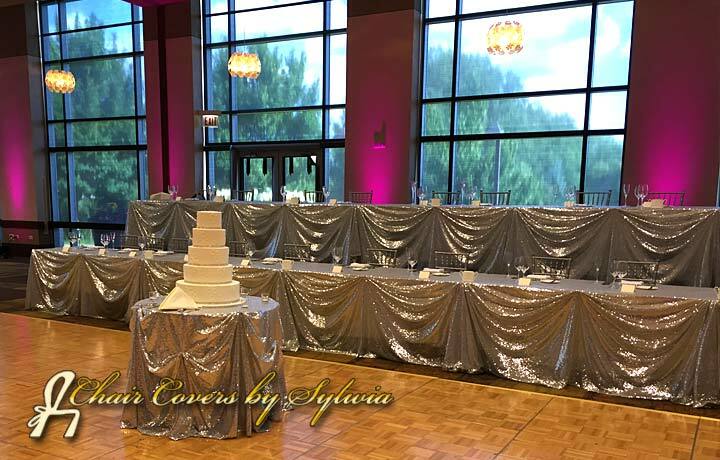 For more information, or to set up a consultation for your special occasion, please contact out office at: 708-294-5200. 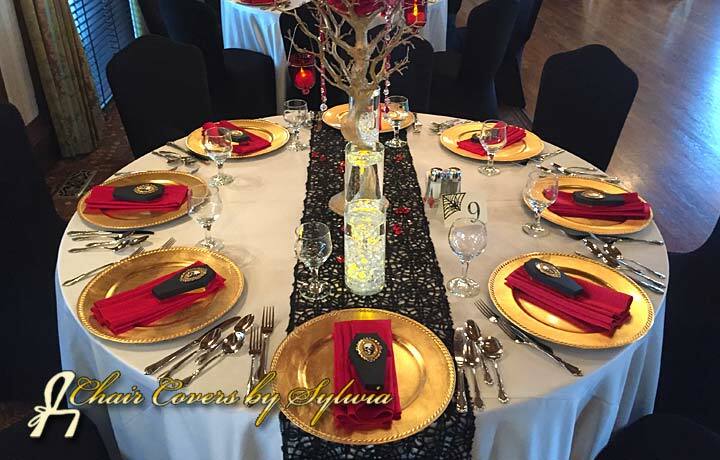 If your planning a special accession in the Chicago area, we have a full lineup of table accessories to make your event truly special. 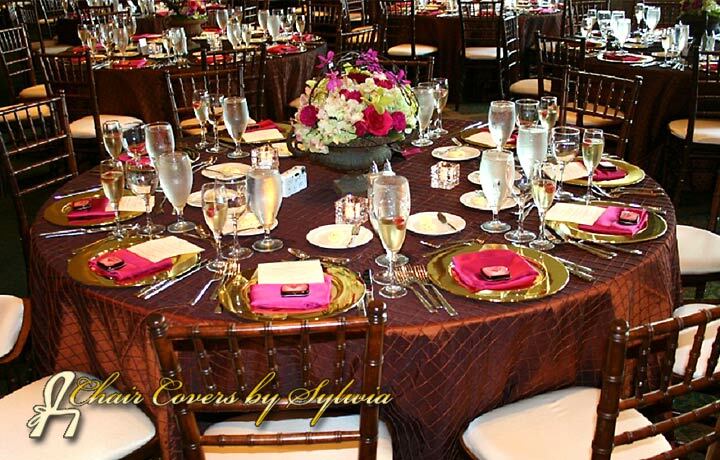 Shown here are only some of the table setting we have set up. 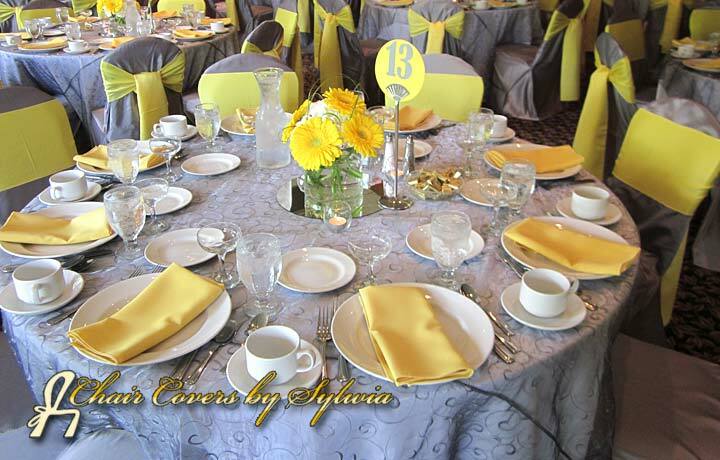 Come in to see more images, or the complete catalog of fabric samples to match and coordinate to your exact tastes. 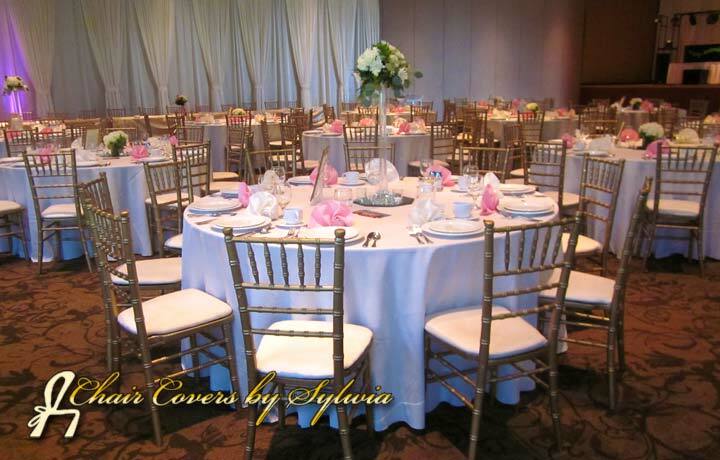 Very popular within the last few years, a Chiavari chair rental can make an impact on your event. 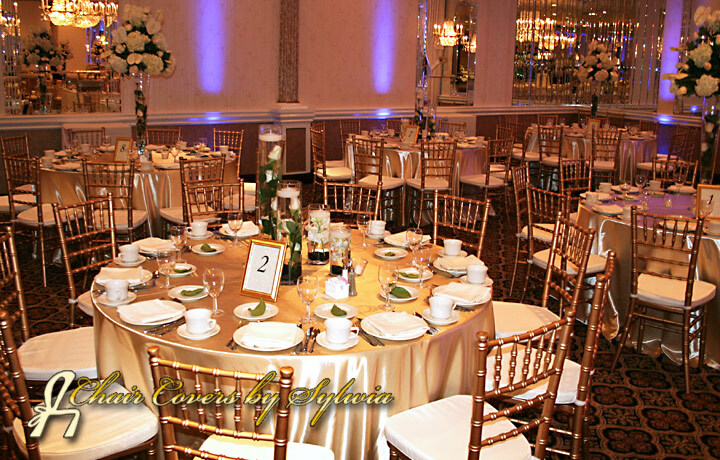 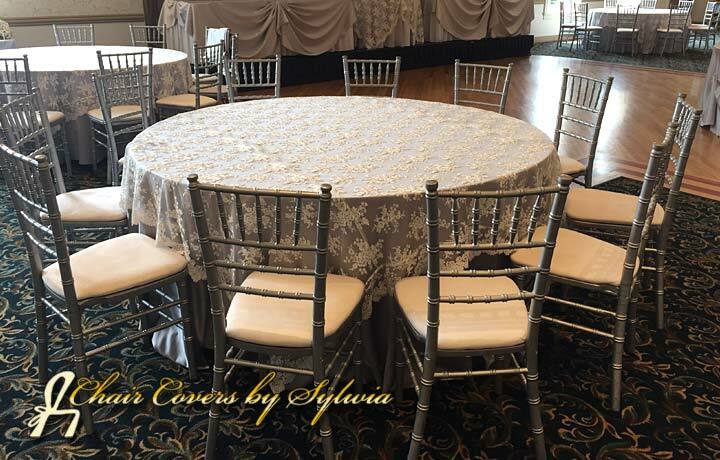 We have a wide selection of Chiavari chairs to match your decor and event type. 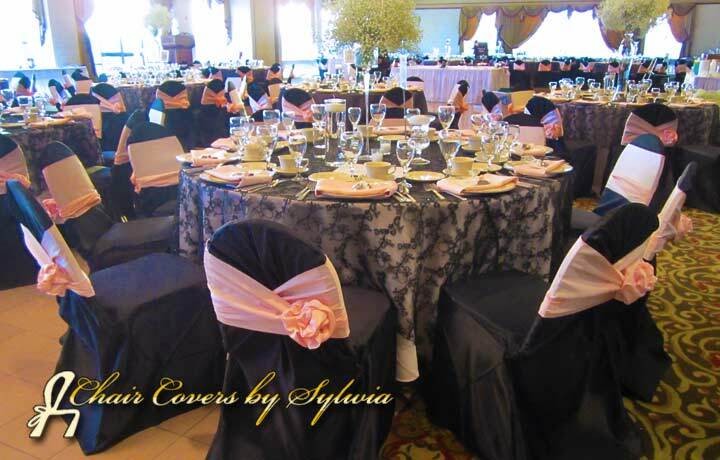 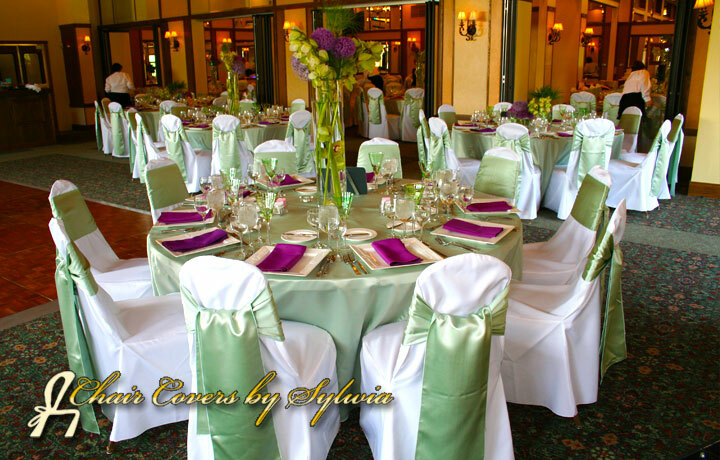 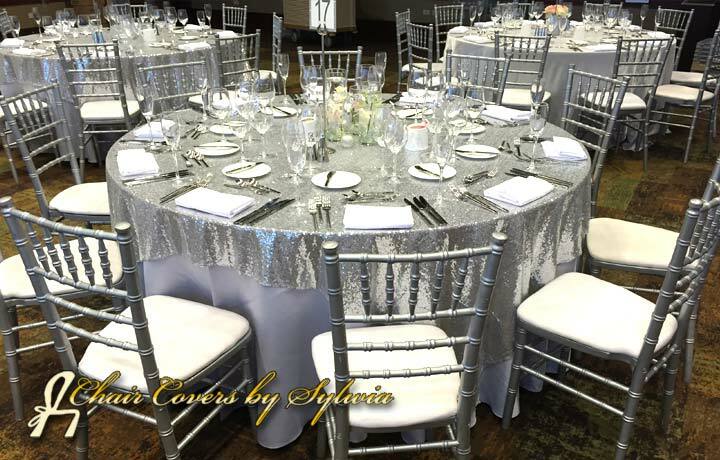 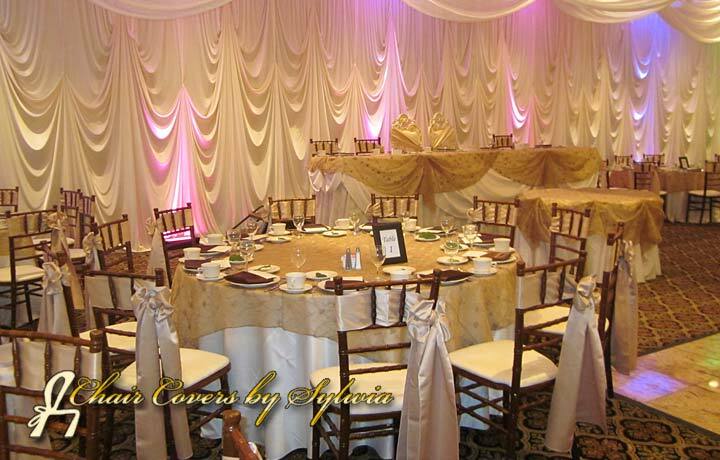 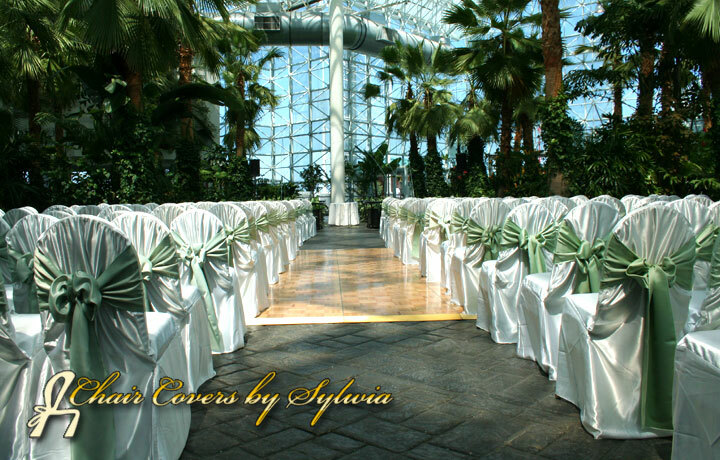 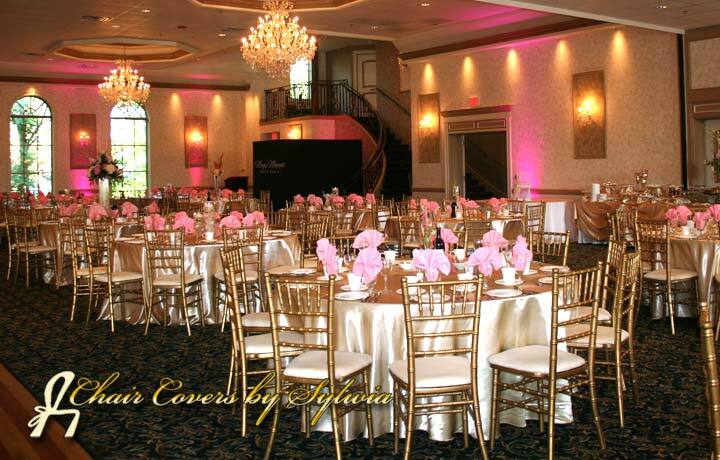 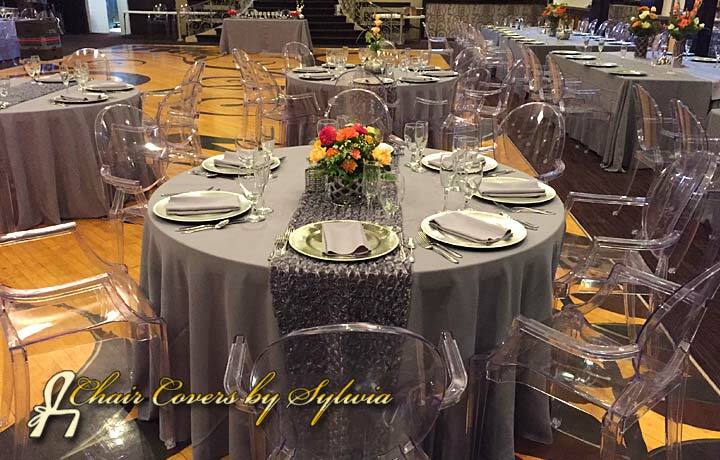 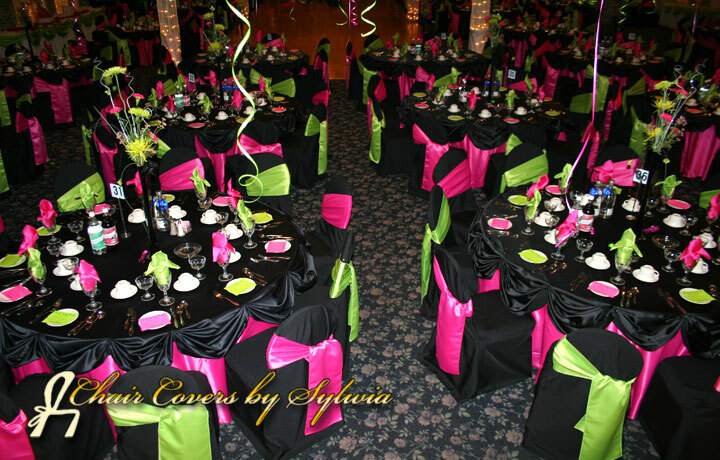 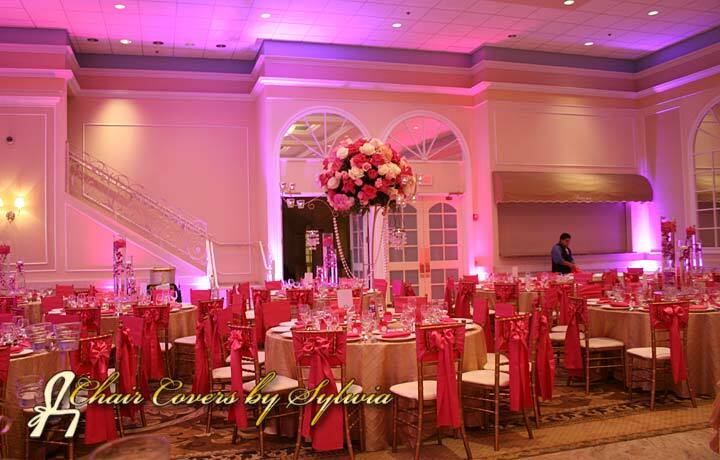 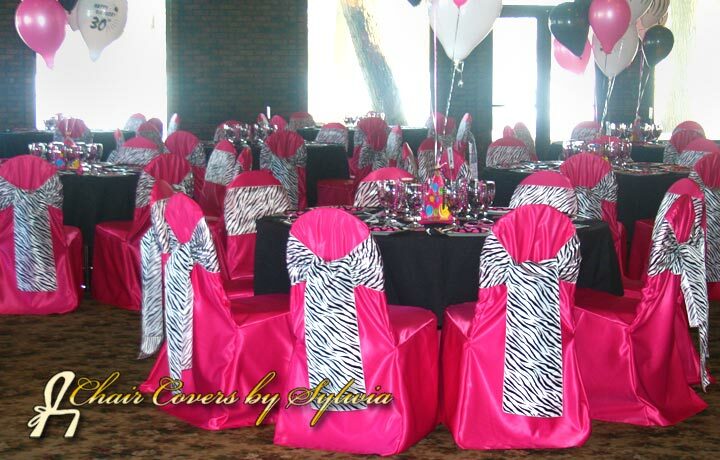 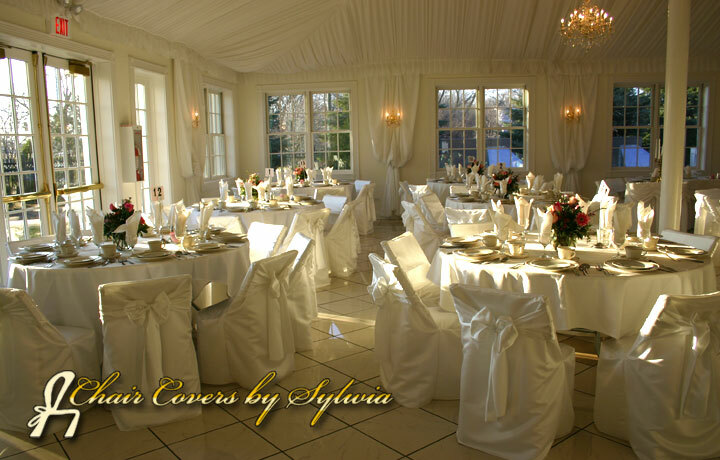 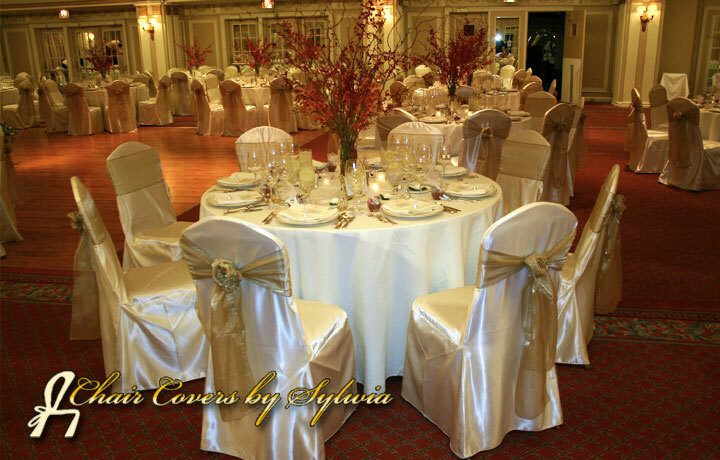 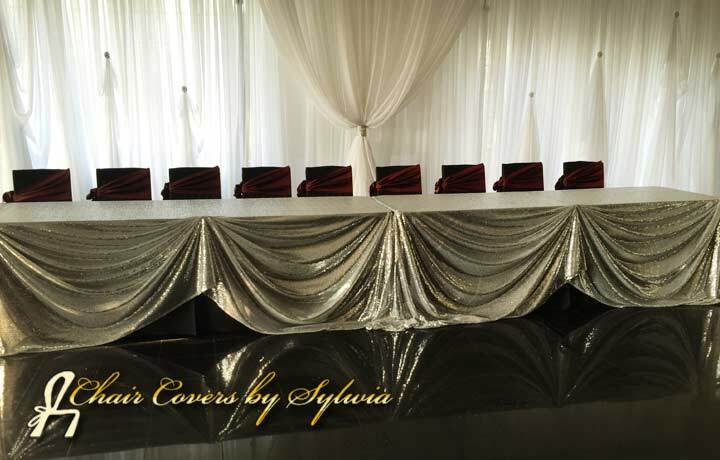 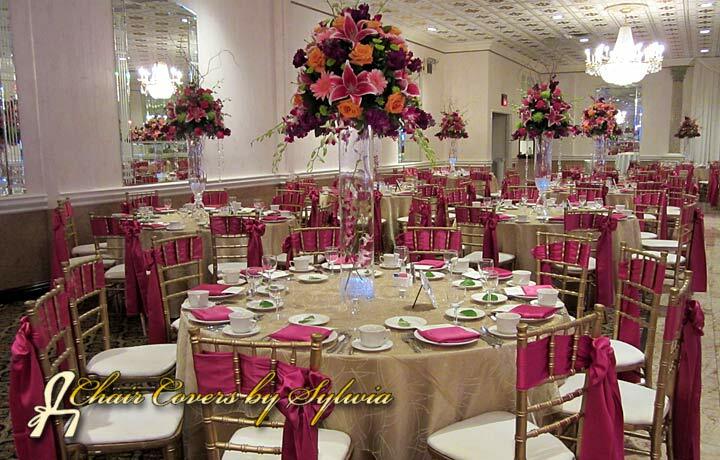 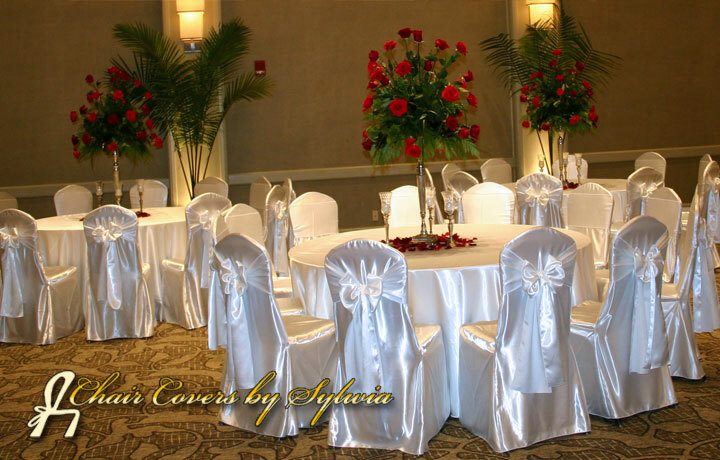 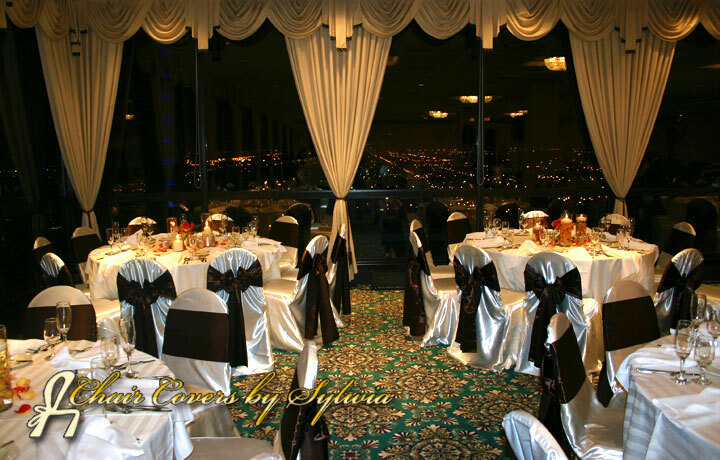 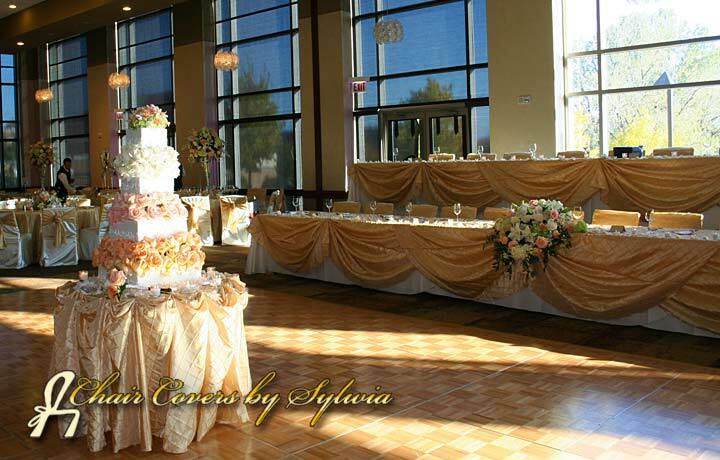 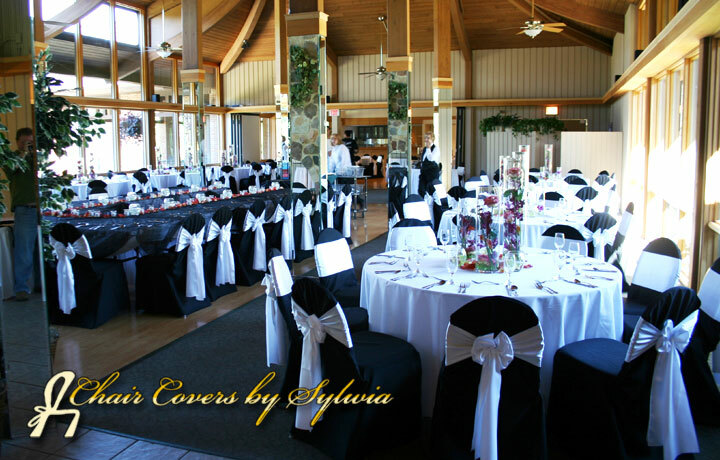 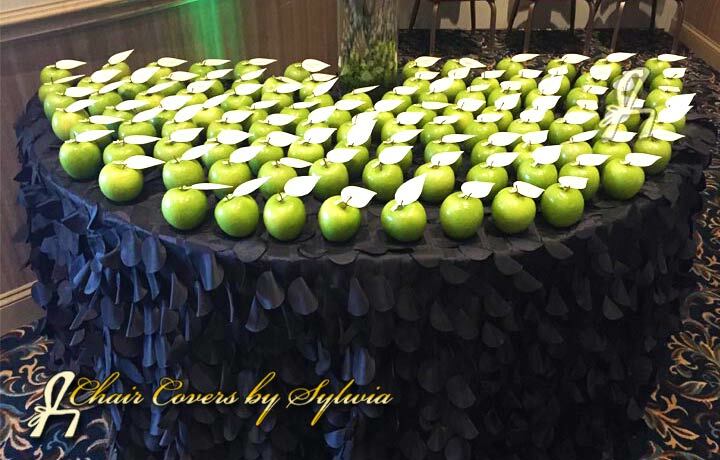 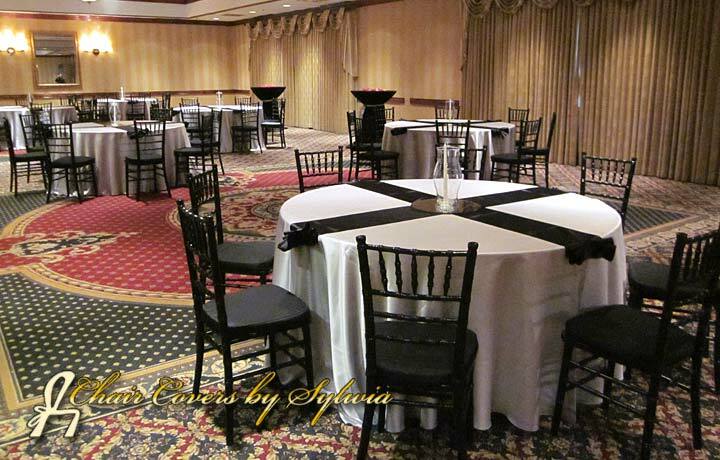 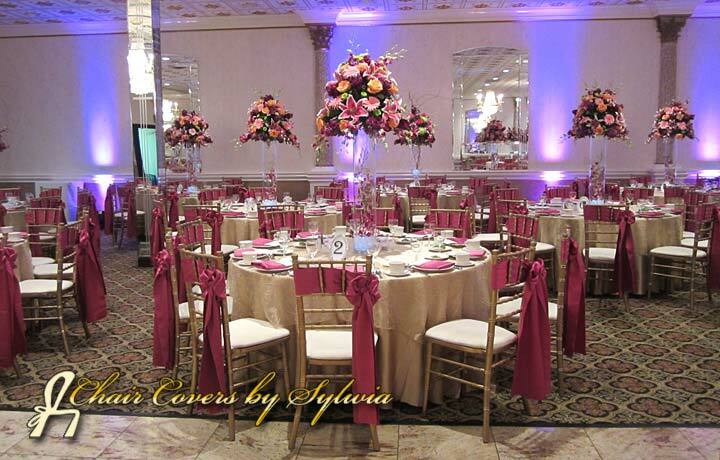 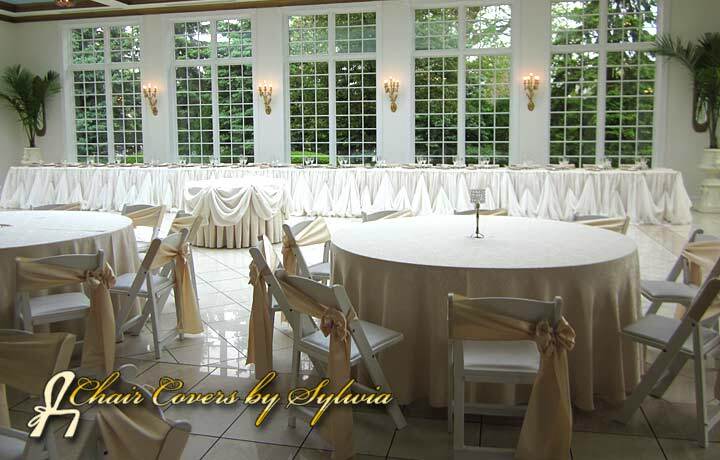 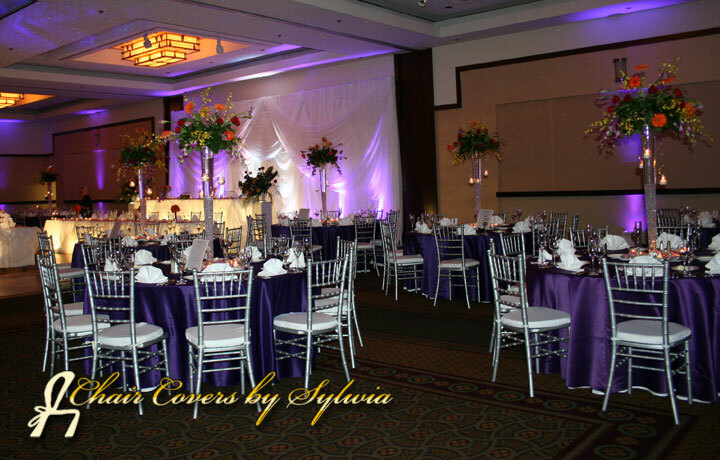 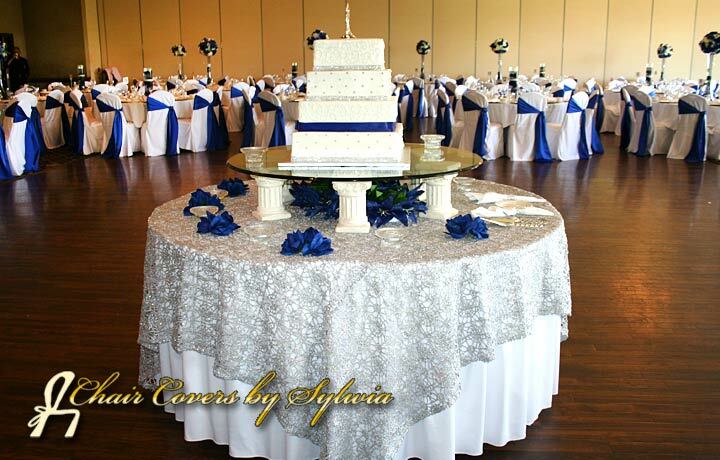 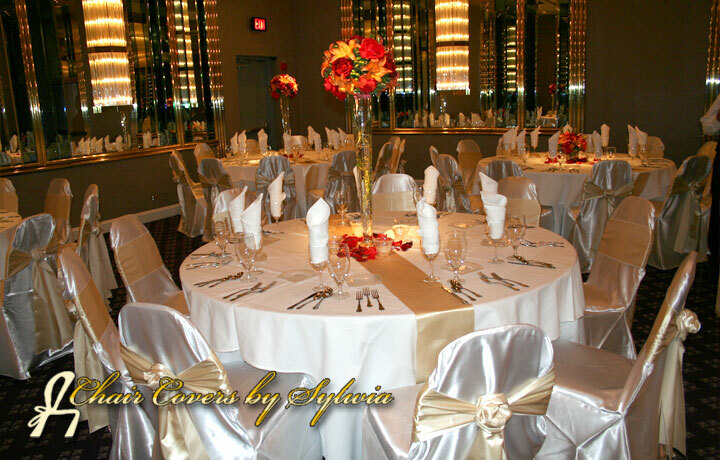 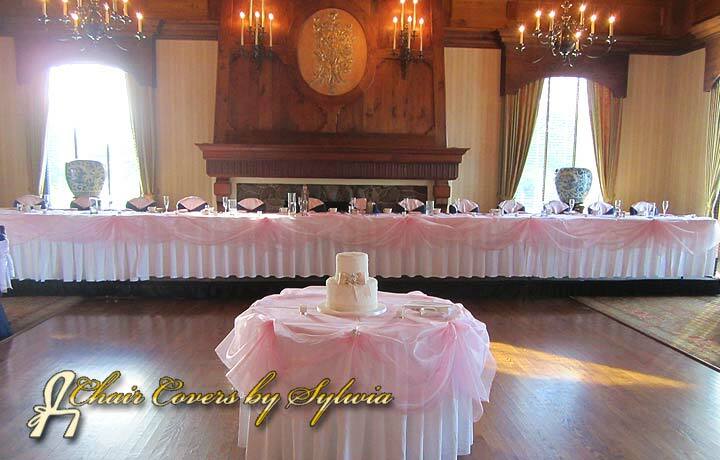 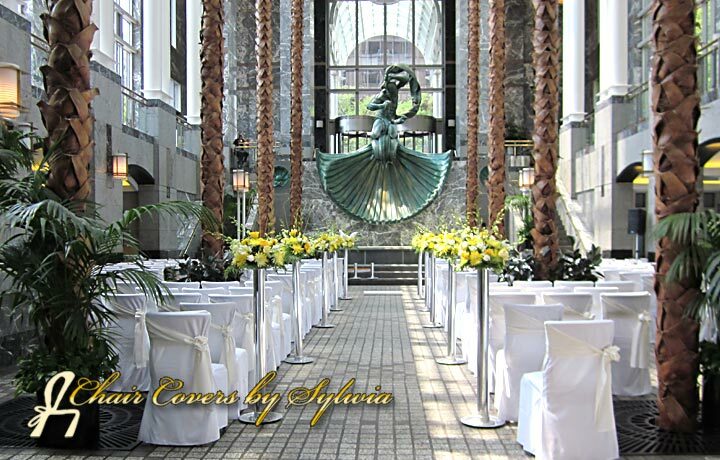 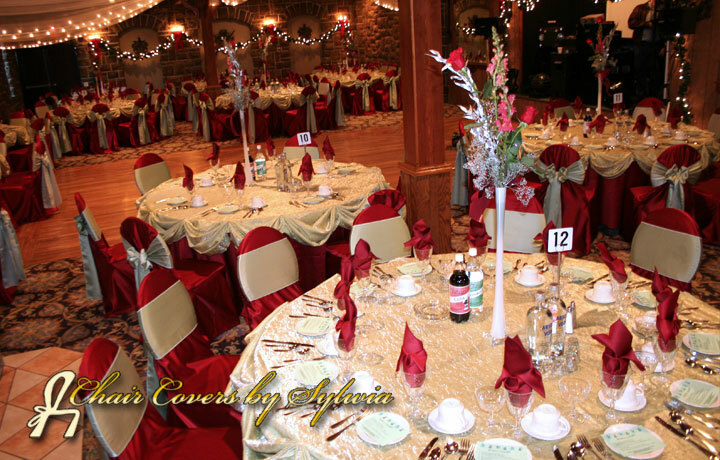 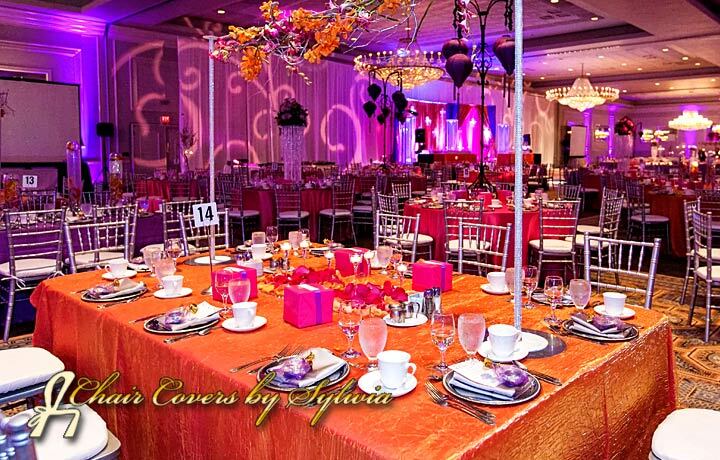 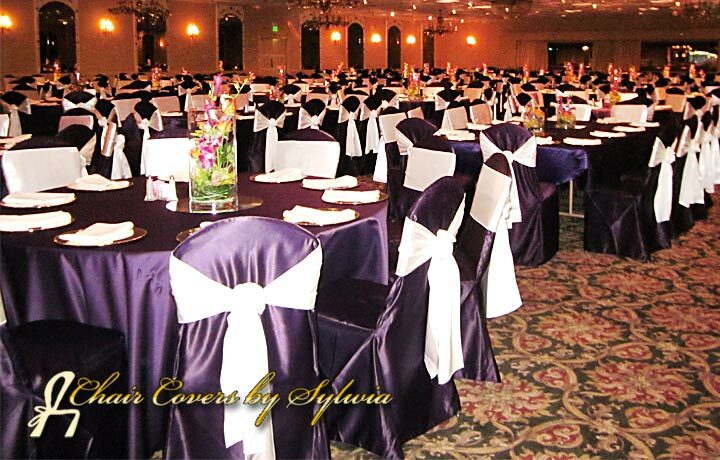 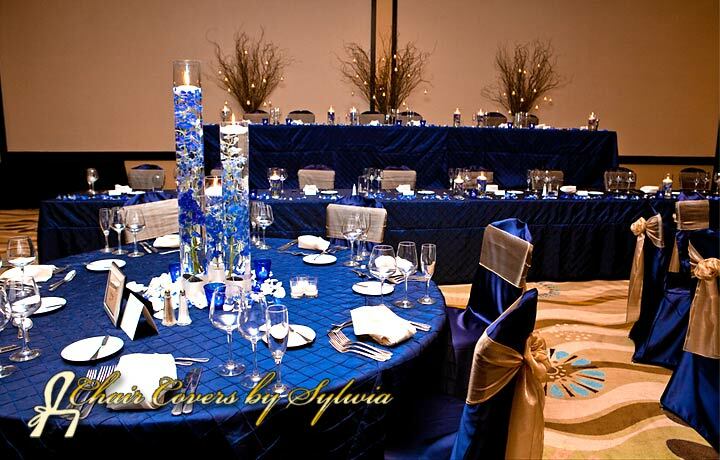 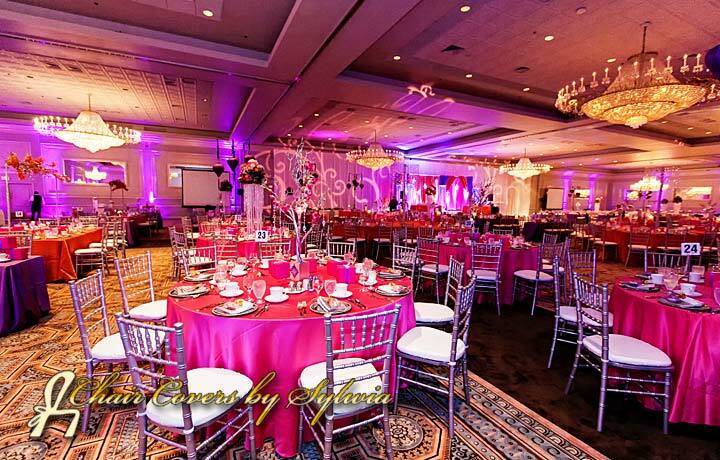 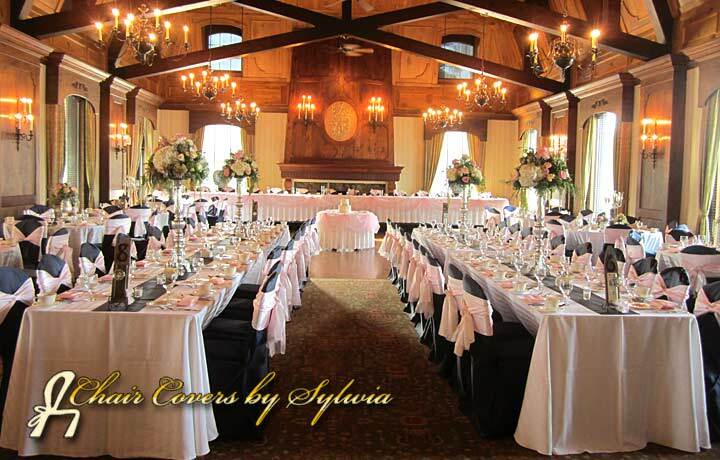 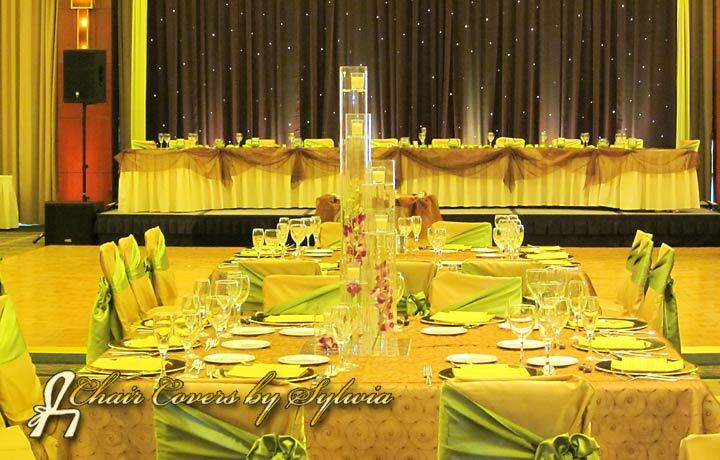 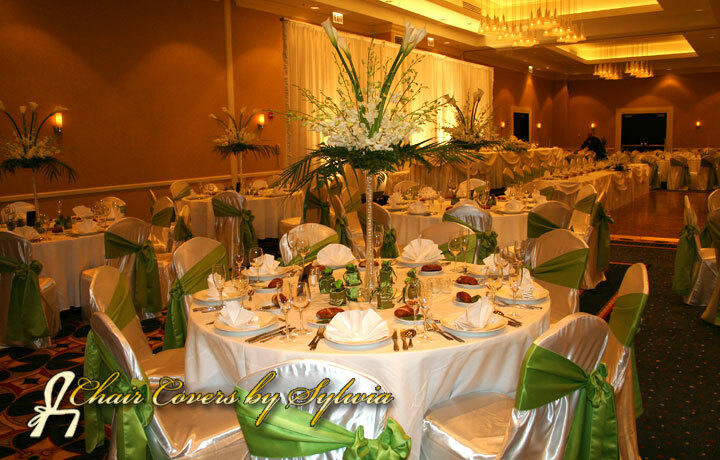 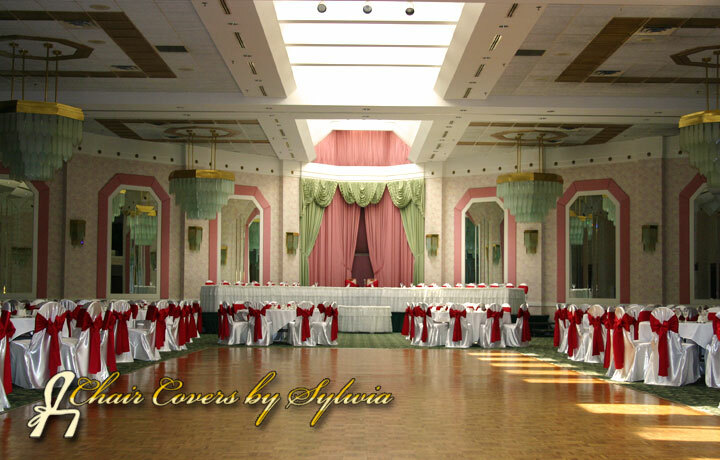 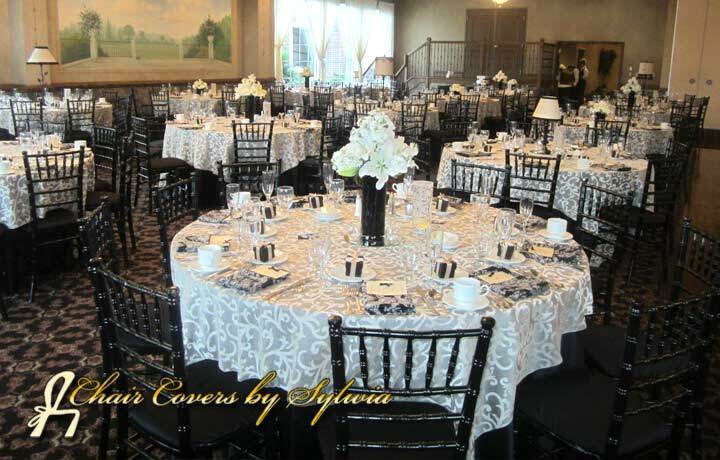 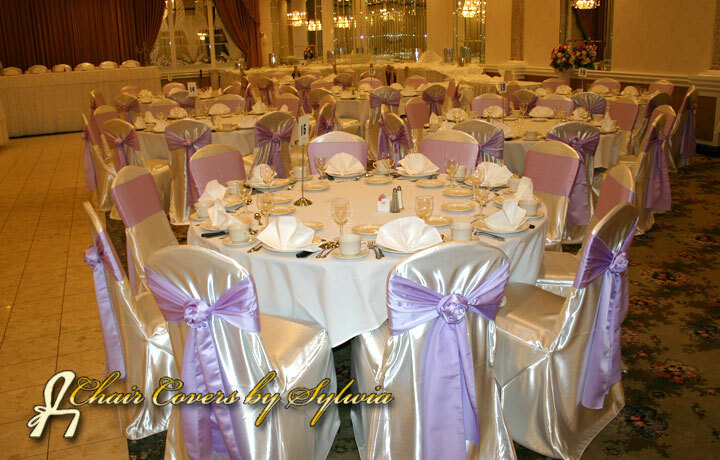 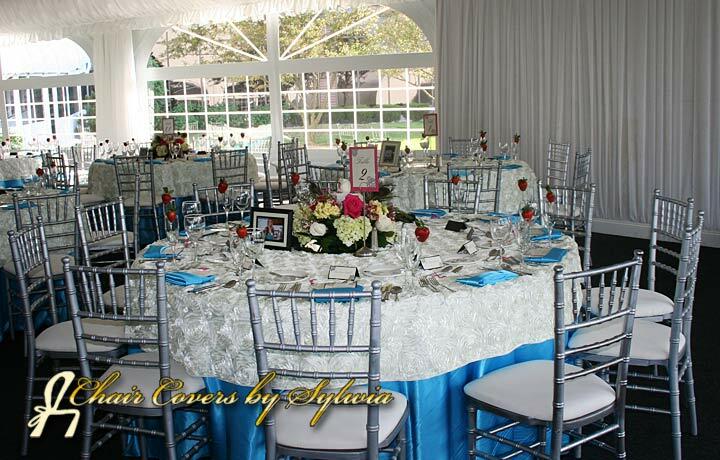 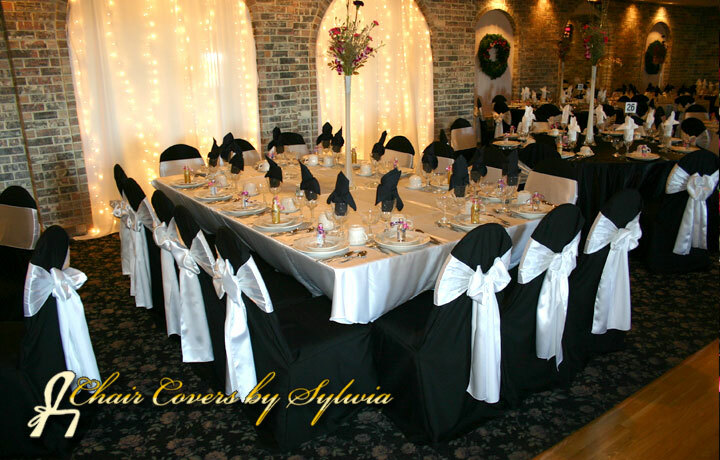 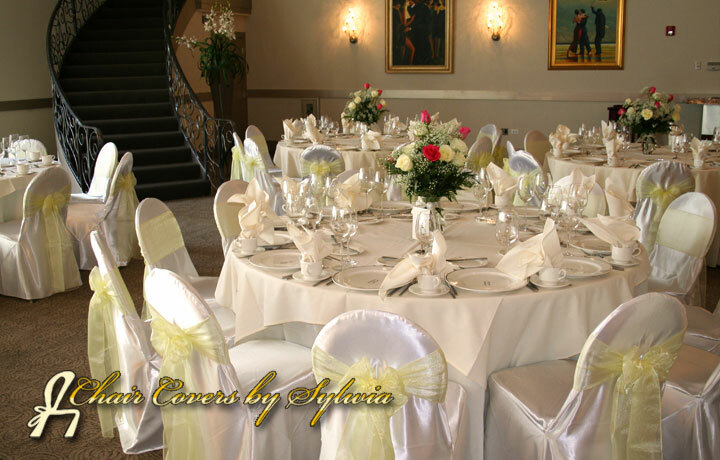 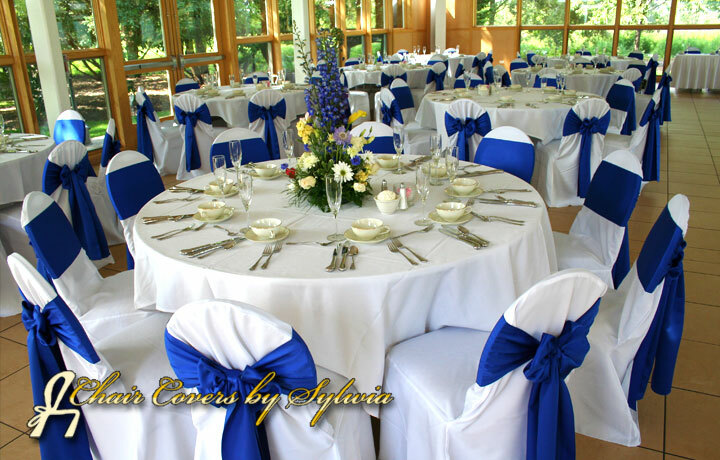 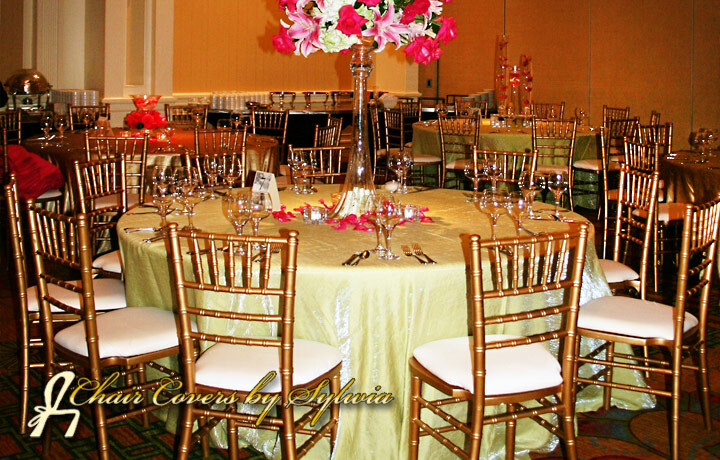 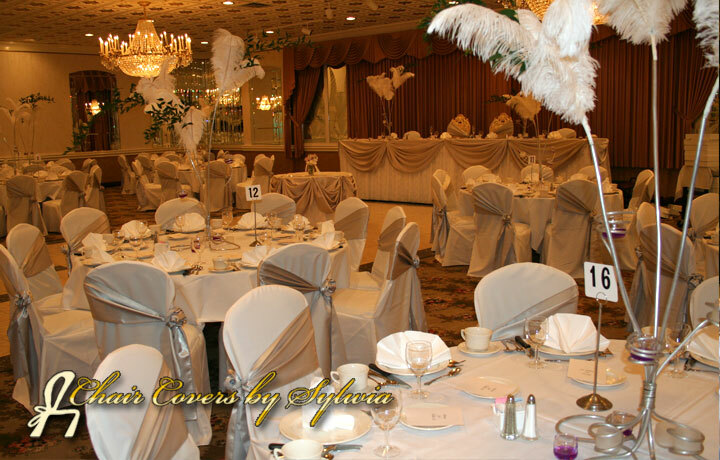 For events and special occasions within 80 miles of Chicago including Northwest Indiana, Chair Covers by Sylwia can deliver and setup your entire event to make it absolutely outstanding. 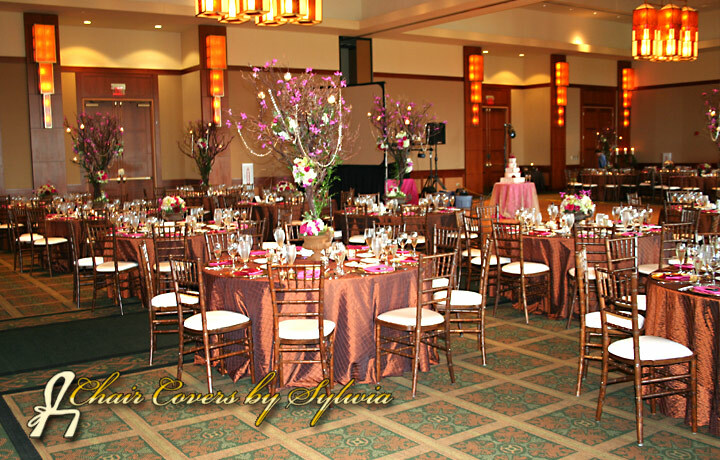 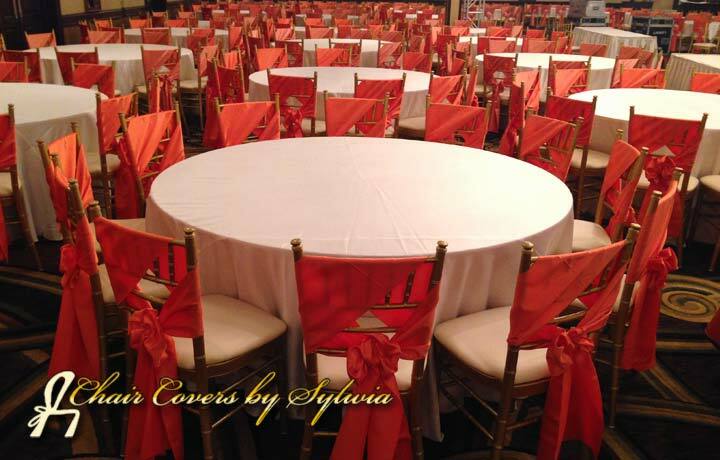 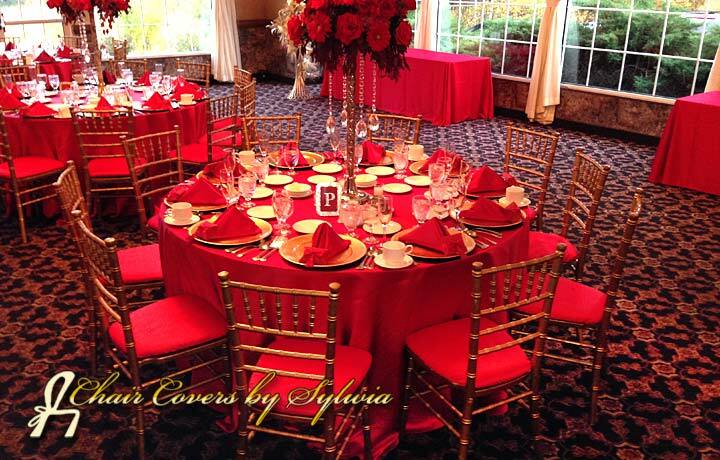 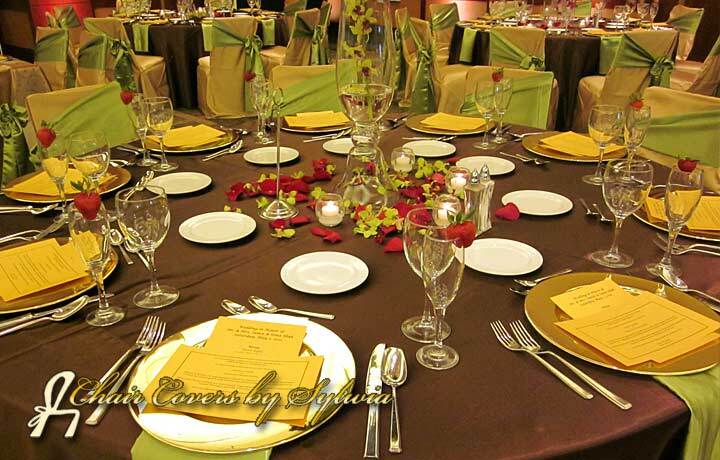 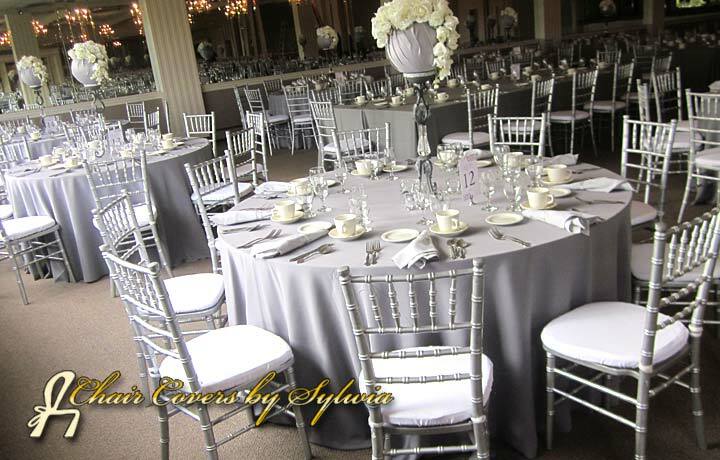 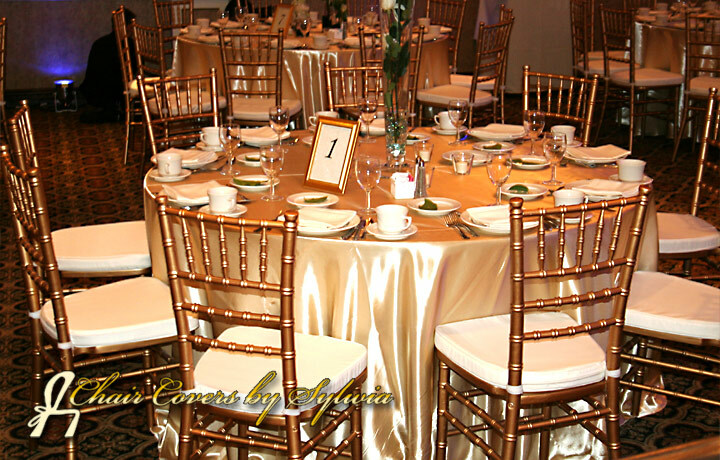 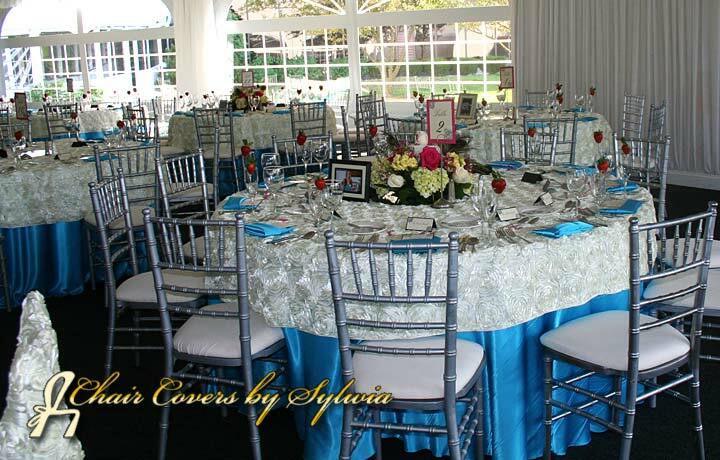 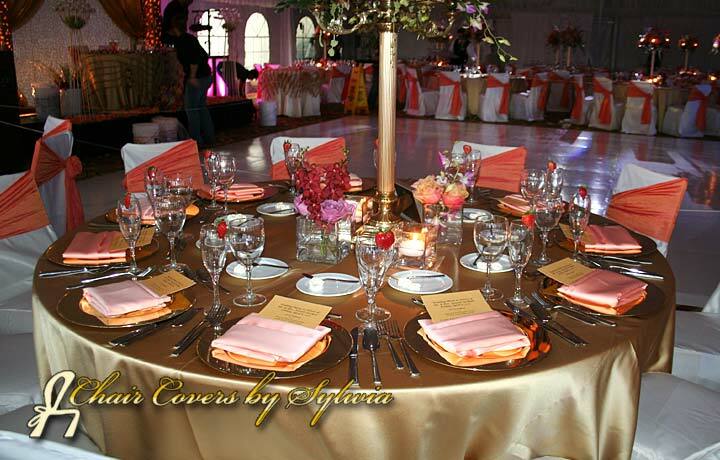 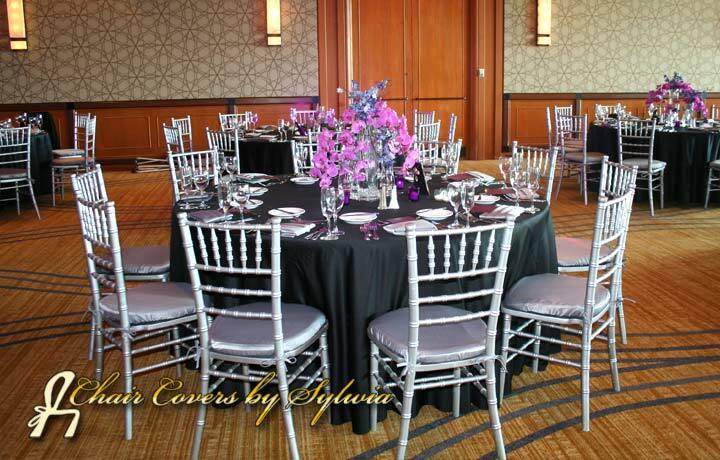 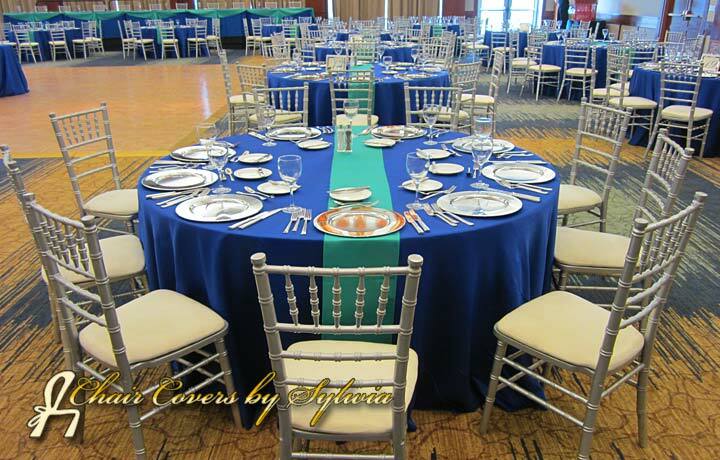 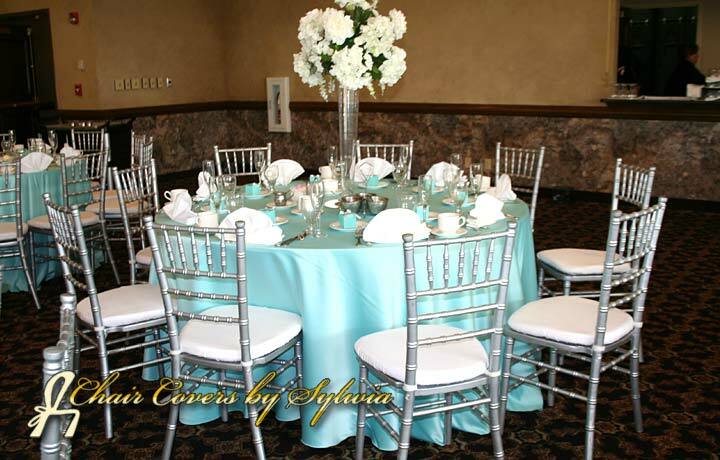 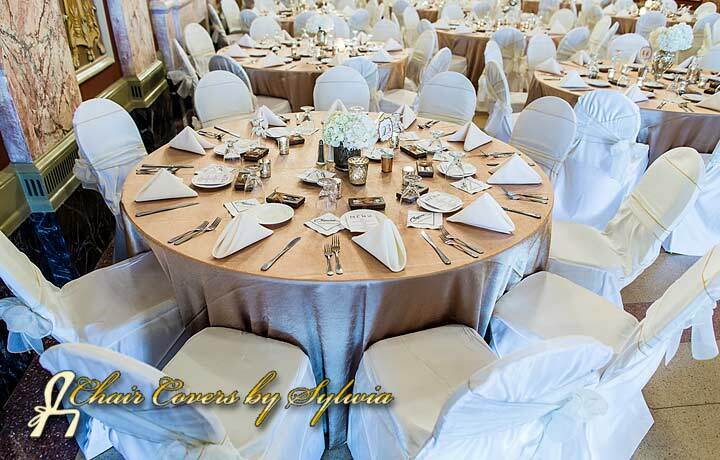 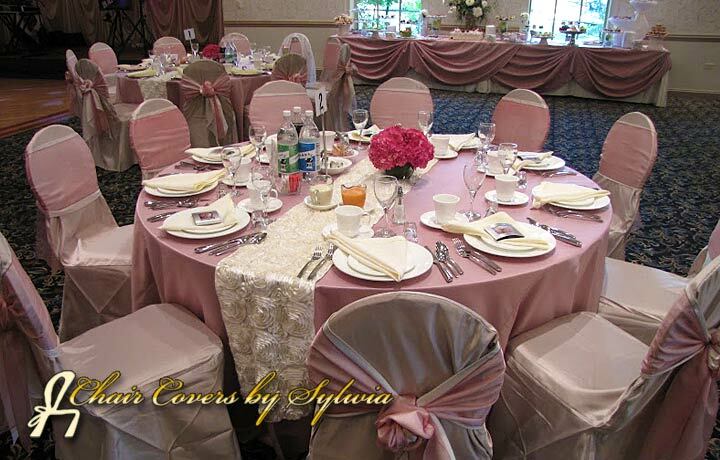 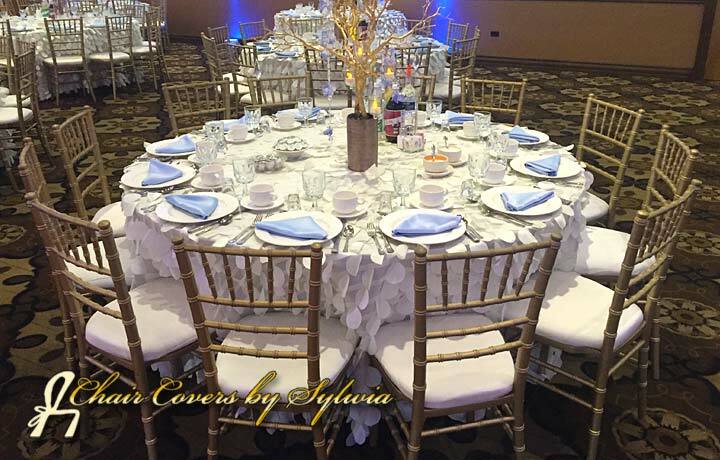 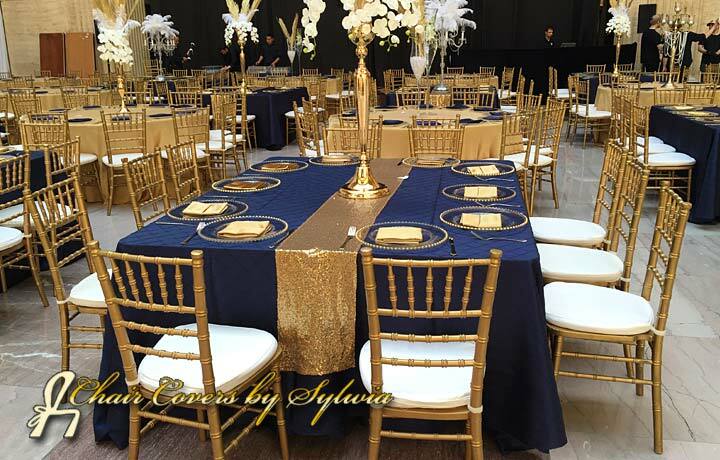 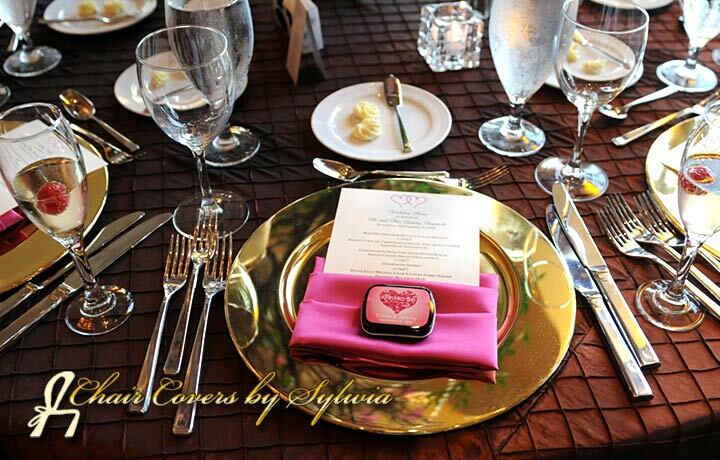 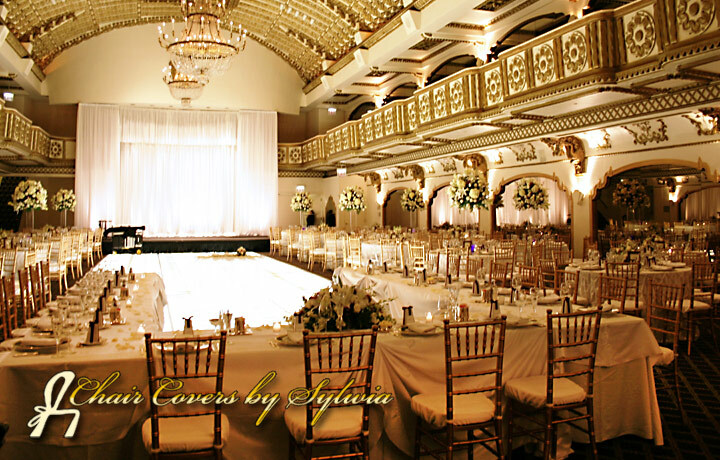 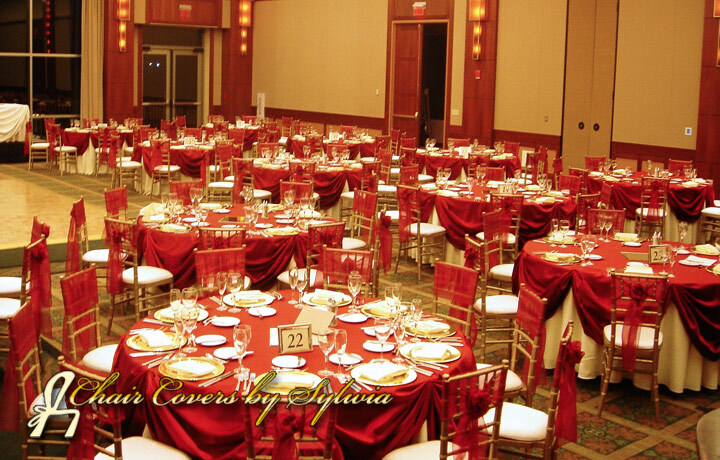 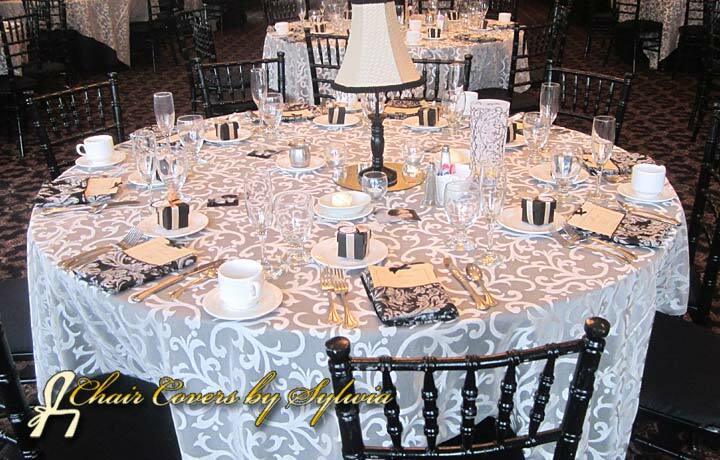 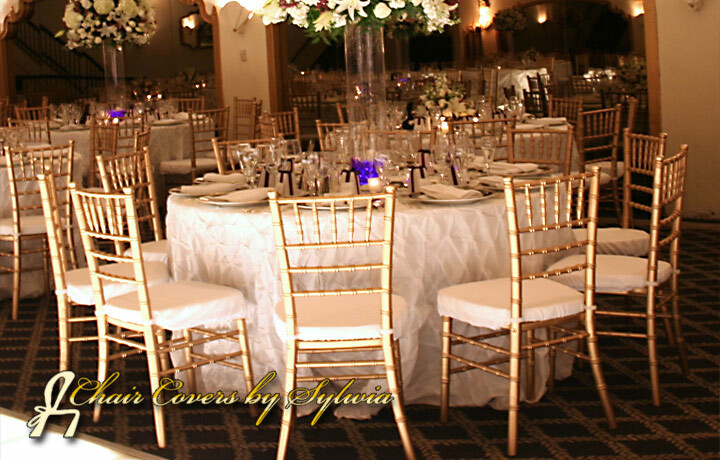 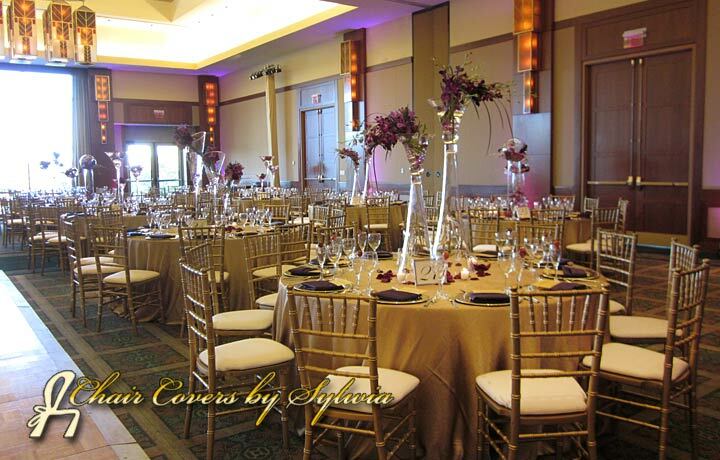 Use our service once, you'll understand why Chairs by Sylwia is the premier choice for special event chairs, chair covers, linens, overlays and napkins in the Chicago land area.